Downtown Long Beach, with its nostalgic charm and waterfront location, has become a prime spot for creative office space, as many professionals are drawn to old historic buildings that have been converted into creative offices or collaborative co-working spaces. What’s the new creative office? It’s a dramatic shift in how we use space. It’s smaller & smarter. Let’s start with the tangibles: It’s not just open & collaborative space with fewer offices, polished concrete, natural light, exposed-duct ceilings, operable windows, new furniture systems and expresso for all. And it’s not just cool team or huddle rooms, stand-up desks, smarter office technology & super-fast internet. Efficiency, technology, visibility, and flexibility are all elements. Hot-desking (or hoteling) has all of these elements. If employees are often in the field, they don’t have a permanent cubicle or office. “Free flight” technology makes this possible and you’d be surprised how even the top performers state the benefits can outweigh traditional work space. Small-business professionals or freelancers can afford to share workspace that promotes camaraderie, good work energy, and, often, new business. They are modern comfortable, efficient, open work environment offering various amenities & time-savers valued by most workers. New “work visibility” and “work flows” can lead to resistance from workers who prefer privacy and are averse to sharing. Creative and open floorplans need to be carefully presented to get buy-in. Workplace matters because it reflects who you are and what you stand for. As such, you should strive for customized and balanced solutions that reinforce your brand and culture. Of course, with so many variables, the stakes involved with workplace transformation are high. To help you make the right choices, an experienced project manager, with the ability to think holistically and provide change management strategies, can help you raise the bar. The more flexible work schedule and telecommuting means that the number of people in an office varies more than if everyone was on the same schedule. This facilitates sharing space. These trends are all influencing the continued evolution in the way people work, and ultimately the shift in demand for the type and amount of work space companies require. Even in traditional office settings, the office footprint is shrinking. The amount of dedicated space per office worker has dropped from about 225 square feet in 2010 to 175 square feet today. Generates the “triple bottom-line effect”, which are Cost, Culture & Environment. Shared desk/dedicated desk, shared office/private office and team space are all options. 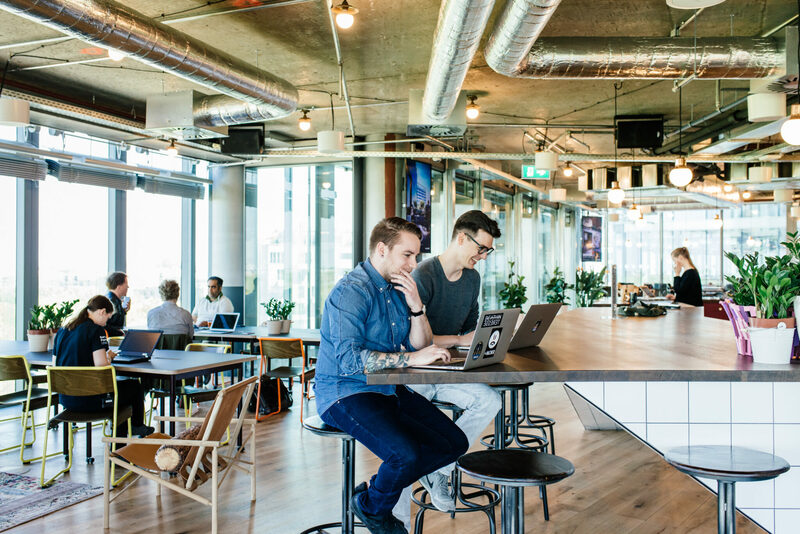 Co-working spaces typically allow freelancers, start-ups, small businesses, teams, creative professionals and entrepreneurs to rent desks and share offices, use ofﬁce supplies and drink coffee…all alongside other like-minded professionals in similar ﬁelds. These spaces foster an environment where ideas and creativity can ﬂow freely. WeWork is the the largest player and they are global. They just opened on Broadway. They do it right, and you’ll be impressed. 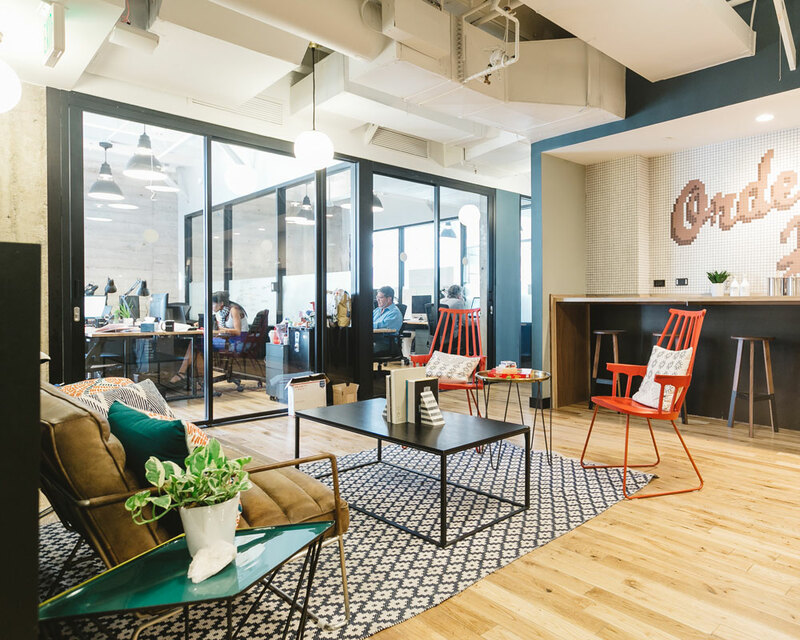 Work Evolution or (WE)-Labs, located at 105 W. Broadway and New York-based WeWork located at The Hubb at 100 W. Broadway. The big executive office players in town like Regus and Premier have also moved into the co-work market. Creative ofﬁce includes shared & co-work workspaces. For workers that spend away from the office concept called certain type workers are shifting to “hot desking” or “hoteling.’” This has been a rising trend among ofﬁce buildings now catering to Millennial entrepreneurs and business professionals in a multitude of growing industries. And they are attracting and catering to above-average Millenium talent in technology, media as well as even with complementary & traditional office users. 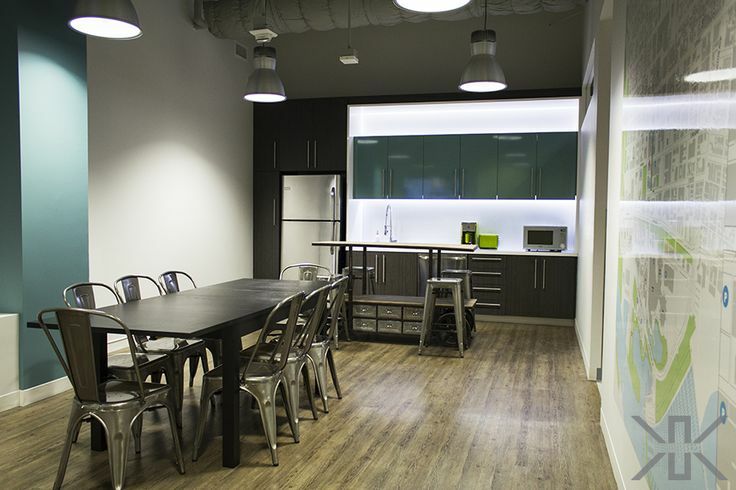 Inspirational work areas in a comfortable and professional environment that encourages collaboration. Dedicated space per office worker to be 100 sq. ft. or less in five years through utilizing space differently to accommodate changing work patterns.